Designed and optimized for Microsoft Windows 10, Microsoft Windows Server 2016. 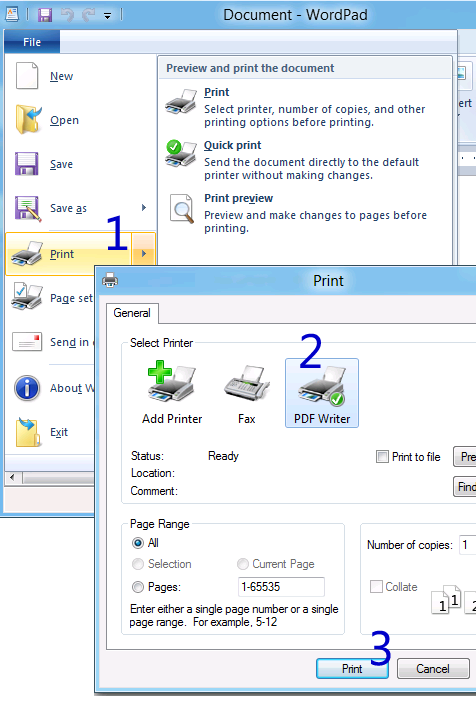 Convert any document to PDF is completely simple, with Microsoft Print to PDF printer. You just have to print the document and that's that. PDF Writer offers you more features, with a virtual print driver that simply does all the work for you. As few people know, when you print a document in modern versions of Windows, you translate the document to GDI/DDI (aka Graphics Device Interface/Device Driver Interface). Now, PDF Writer generates a PDF document from that sequence and lets you save it as a regular file. Thus, the conversion is done for you on the fly. All options for PDF creation are in the printing preferences dialog box of the PDF Writer printer. It's easy to create PDF document, just a few simple clicks! Open a document that you want to convert to PDF file, and then click Print, choose the PDF Writer printer, and confirm your Print. If you are new to the concept of print to PDF, you can read the picture with the 1-2-3-4 notes. 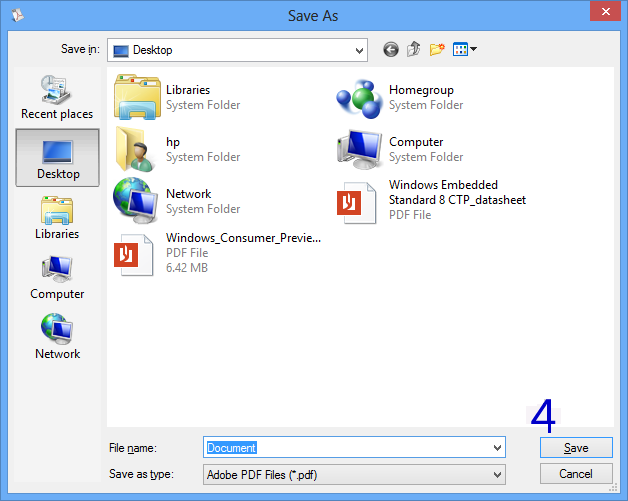 After you confirm your print, you will see the Save As PDF dialog box. Now it's time to specify where to save the PDF file. Deploy PDF creation capability across your home, office, enterprise, corporation, and organization. Free upgrades are available in the future for all registered users.